It is an antioxidant food, thus helping to fight against aging and cancer, which we now know it also contributes to a slimming regime. Proponents of natural medicine recommend eating grapes exclusively for three days to purify the body. Its nutritional qualities make this comprehensive plan is not inconsistent. Grape juice helps blood vessels to dilate. It also increases the number of mitochondria that provide vitality and longevity. Most trace elements are present: iron (0.36 mg), magnesium (7mg), phosphorus (10mg), potassium (191mg), copper, zinc, per 100g. It contains vitamin A (65UI), B, C (10mg), E, K.
Its energy value of 69 K calories is high, however. This category of phenol is present in grapes, especially red ones, and therefore in the juice and wine, as well as groundnuts, ripe. It is the weapon against anti-oxidant of grape and the factor of increase in mitochondria. Neuroprotective (ie anti-Alzheimer's and Parkinson's). These properties have been verified by experiments. A study by Tufts University in Boston on a variety of black grape confirmed the positive effect on the brain in experimental animals. Another study conducted in Spain on all test groups and hemodialysis subjects with cardiac risk, some absorbent 1 glass of grape juice, the other not, show that the good HDL cholesterol increased in the former while the bad LDL cholesterol decreased . In addition to MCP-1 protein associated with cardiovascular risk decreased by half. The most recent study, related by Harvard, establishes a link between resveratrol and longevity. We discovered the mechanisms by which this molecule acts against different harms that come with age and against obesity. 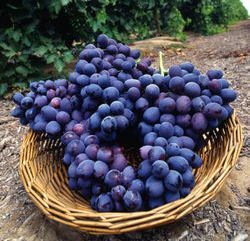 A study at the Institute of Genetics and Molecular and Cellular Biology in Illkirch, demonstrated over a period of 8 weeks than the control group (of animals), which received resveratrol in addition to a rich diet, had a lower weight gain of 40% in the second group, fed the same way, without resveratrol. The cause of this weight difference is due to mitochondria that resveratrol helps to make these residents organelles in cells transform energy and thus have an extra calorie in their beneficial activity in the body.